Our wrinkles are a sign of a life well-lived. From laugh lines to frown lines, expressions lines are proof of everything we’ve been through over the years. Unfortunately, they can also make us look older than we’d like.If you’re looking for the right treatment for fine lines and wrinkles, look no further than BOTOX®, one of the safest and most popular cosmetic treatments in the world. 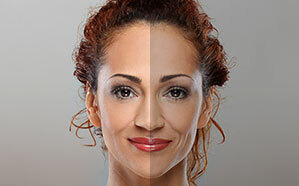 With just a few injections, BOTOX® can soften the appearance of the most frustrating and hard-to-treat signs of aging: expression lines.Patients seeking BOTOX® in the Inland Empire choose Dr. Machida because he has the artistic skill and experience to create the most natural-looking results possible. Using BOTOX®, Dr. Machida can target laugh lines, forehead lines, frown lines, and crow’s feet with incredible precision. In his hands, you can achieve a more vibrant, refreshed appearance with no downtime and the utmost safety. The ideal candidate for BOTOX® in the Inland Empire is someone who wants to treat expression lines like frown lines and crow’s feet. BOTOX® can also treat facial spasms, strabismus, excessive sweating, neck and shoulder spasms, migraines, and more. BOTOX® can be performed in Dr. Machida’s medical office, and injections are often administered in less than 30 minutes. As simple as it might seem, BOTOX® requires a great amount of skill to administer. There are dozens of muscles in the face, and Dr. Machida needs to target the specific muscles responsible for creating expression lines while ensuring the results look as natural as possible.Before each injection, Dr. Machida thoroughly analyzes the face and plans for the right volume of treatment to be delivered.Then, the face is cleaned up and a local anesthetic is applied. After that, Dr. Machida will deliver the injections. How Do BOTOX® & Dysport® Work? BOTOX® is a neuromodulator— a substance that prevent the muscles from receiving signals from the brain. By doing this, neuromodulators soften the appearance of expression lines, the wrinkles that form thanks to years of repeated facial expressions and muscle contractions.Neuromodulators essentially cause certain facial muscles to become perpetually relaxed, which makes their corresponding wrinkles much less prominent. Is BOTOX® or Dysport® Painful? BOTOX® treatments are not painful at all. The neuromodulators are delivered using an incredibly fine needle, and they contain lidocaine in the formula to help with any discomfort. 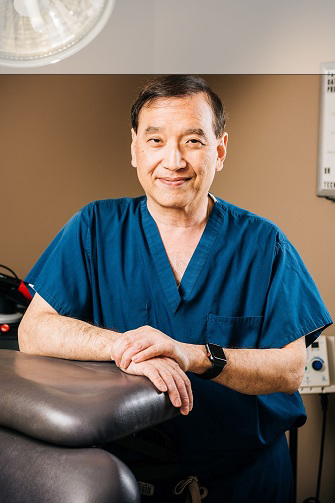 Patients can also have the treatment area numbed if they’re especially sensitive to needles.At Second to Creation, our patients can rest assured that Dr. Machida, a skilled and experienced injector, will deliver their treatment with their utmost safety and comfort in mind. 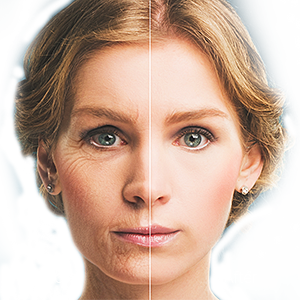 How Long Do the Effects of BOTOX® & Dysport® Last? The effects of BOTOX® tend to last for 3-4 months at a time. Many patients undergo multiple treatments a year to maintain their results. What Are the Side Effects of BOTOX® & Dysport®? There is no downtime required for BOTOX®. It will all depend on whether you received BOTOX® and how well your body responds to the treatment. On average, patients tend to see their full results about a week after their treatment. If you’re having your crow’s feet treated, you will get 3 injections near the eye. If you’re having your frown lines treated, then you’ll receive at least 5 injections in the forehead.BOTOX® is known as one of the most reliable and effective cosmetic treatments in the industry, but its results still depend on how skilled your injector is. Don’t trust your BOTOX® treatment to anyone less than a facial plastic surgery specialist like Dr. Machida. To learn more about what BOTOX® can do for you, contact Second to Creation for a consultation with Dr. Machida.